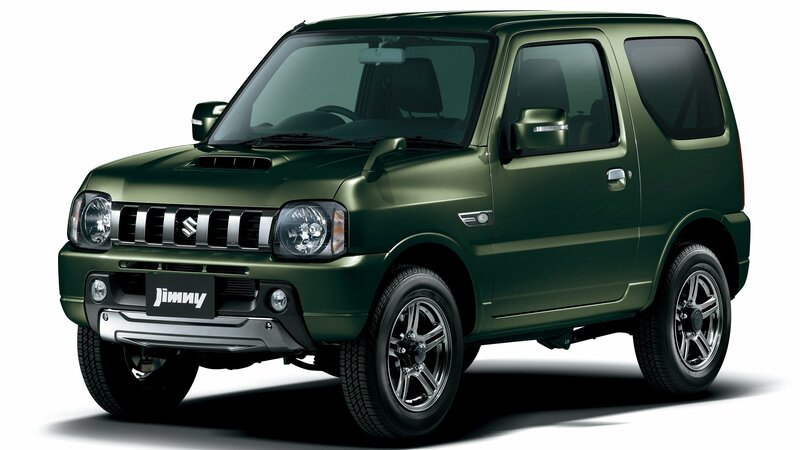 It looks like Suzuki hit a jackpot with the Jimny. It has garnered a lot of attention, thanks to its small yet rugged off-roader status. Just when we thought we had seen it all and the excitement was slowly sinking in, Suzuki decided to play with the Jimny a little more, and the result is simply fantastic. 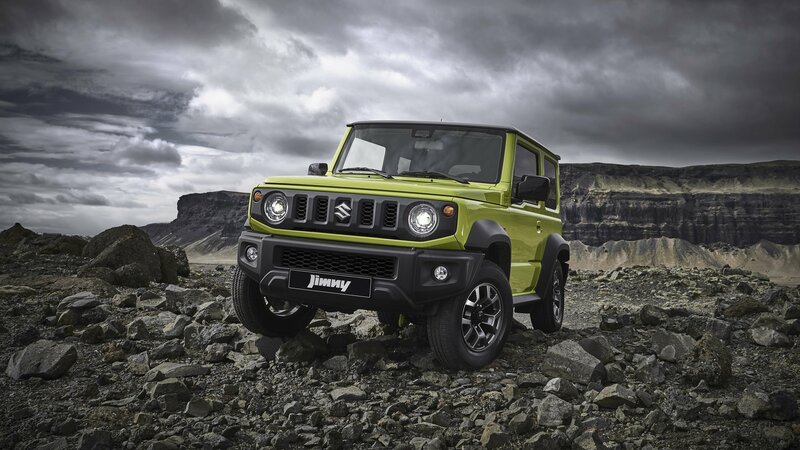 The new Suzuki Jimny became an instant icon, an instant conversation starter, and an instant problem for Suzuki. The Japanese company simply cannot cope with the demand. The production facilities are working at their absolute limits, but there is no way for Suzuki to produce enough to meet the demand. That’s a problem. Nevertheless, those produced are already being trashed somewhere on some off-road terrain. Some of them, however, managed to reach the garages of the most recognizable tuners out there. First, we were treated to that awesome Liberty Walk modification that basically turned the Suzuki Jimny into a baby Mercedes-Benz G-Class. At least in the virtual world, but I believe one can order it right now. On the other hand, we got an all-new look at another modified Suzuki Jimny. This one is done up by Wald International, a Japanese company known for its Black Bison Edition line of modifications. That’s exactly what the new Jimny received – and it’s awesome. 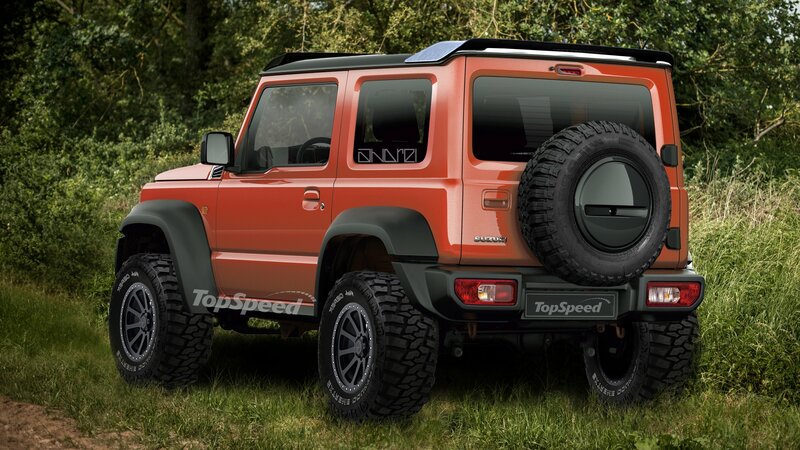 What if there was a Suzuki Jimny 4×4² ? There are plenty of manufacturers these days that milk all their models as much as possible by offering them in different flavors and variations. Mercedes is a great example here, as the Three-Pointed Star created the G-Class 4×4², a low volume exclusive model that caused a huge stir when it was first unveiled (initially as a 6×6 pickup). So, what would it be like if Suzuki did the same thing with the Jimny? Well, I took to Photoshop to find out…. Suzuki hit the jackpot with the overachieving Jumny when the lastest generation made its debut. Everybody adores it. It is a car that you could proudly drive to a car meet, and people would gather around to witness the awesomeness of a raw, off-road ready, tiny machine from Japan. Liberty Walk saw an opportunity with the Suzuki Jimny, and they released a new body-kit. Yup, a Liberty Walk body-kit for the new Suzuki Jimny. We live in an awesome time. You know what? 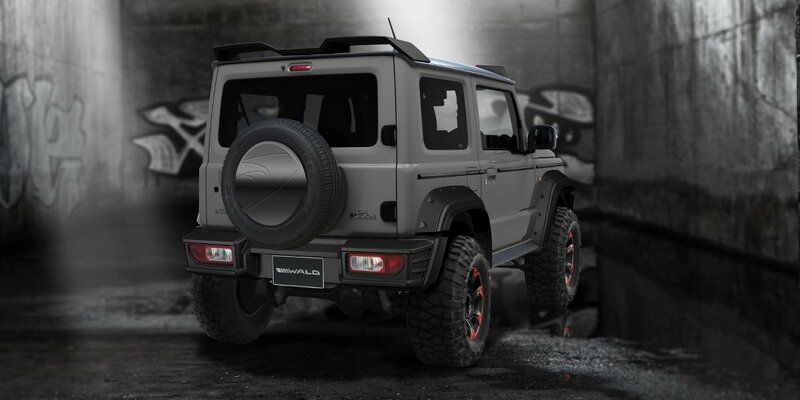 The body kit is much the same as what one could order for the Mercedes-Benz G-Class. It looks similar. It is not sized as such, of course, but it’s strikingly similar. As I noted in my first review about the Jimny, this one is much like a baby G-Class. As Liberty Walk gearheads obviously live deep within car stardom, they revealed two similar kits for two similarly awesome cars that are dramatically different in size. 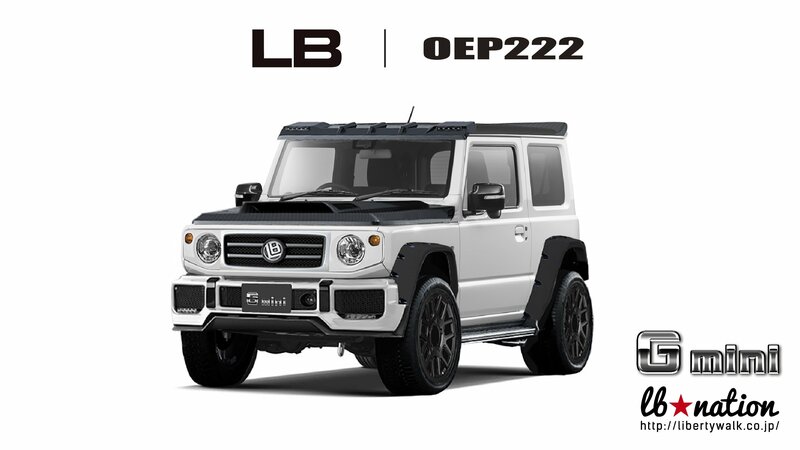 This is actually the first time that Liberty Walk devised a body kit for a truck – one for the G-Class, and the other for the Jimny. The fourth-generation Suzuki Jimny has arrived, and as usual with the small off-roader, it’s packing plenty of might and muscle in such a small frame. The baby off-road machine gets plenty of new features, a lot of which have been thrown in to get fans of the model new reasons to get excited about what it has to offer. And it has a lot to offer. 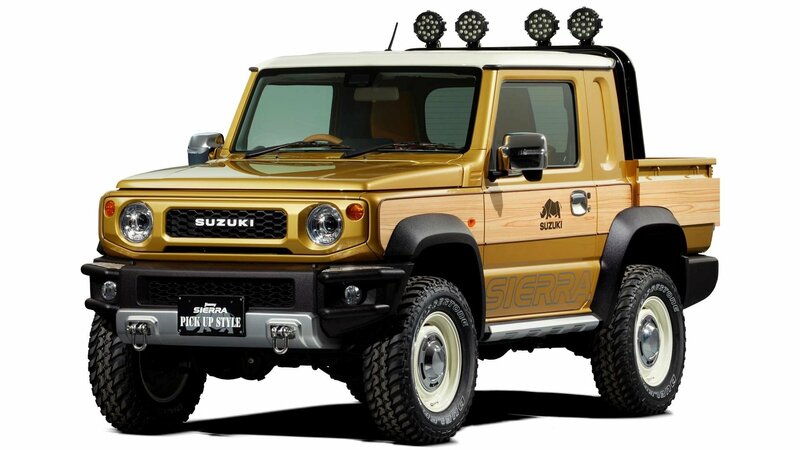 It may not be as powerful as other off-roaders in the market, but there’s something to be said for a Suzuki that has lasted this long and has gained somewhat of a cult following of its own. The fourth-gen Jimny is here, and it couldn’t have arrived soon enough. Most Americans miss out on some really interesting things. Fine, missing out on Kinder eggs is one thing, but missing out on some amazing cars is where we should draw the line. Take for example the Suzuki Jimny – a pocket-size off-roader capable of treading where only a few would dare. 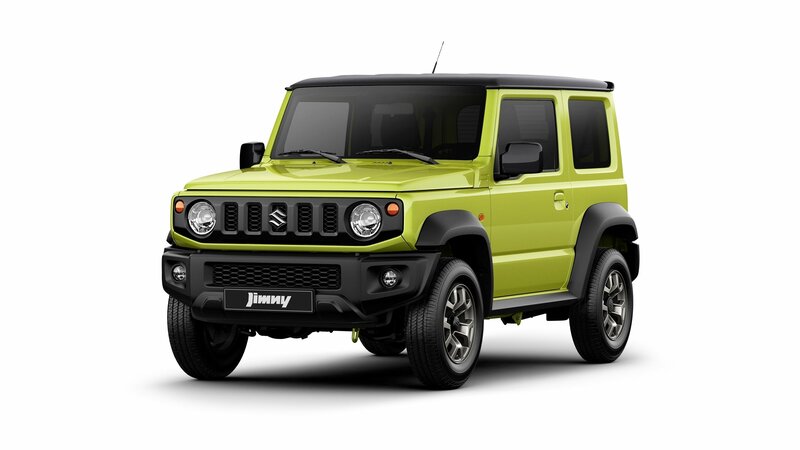 After three generations and more than 2.25 million units sold since 1970, Suzuki finally revealed the first official photos of the fourth generation Jimny. And, that only happened after some customers captured photos of the new Jimny at a Suzuki private event and published them online. An official live presentation is scheduled for the 2018 Paris Motor Show in October. Jimny is not a new name in the automotive industry. The fourth generation of the car has been spotted testing for almost a year now, and that itself is a testament to the fact that people have accepted the unorthodox, boxy styling of the car. What’s new in the fourth-gen? Is it a better-buy now? Continue reading to know more.